My Grandmother taught me many things. One particularly useful thing she taught me was how to bake a pie. Among many things, she was a great cook. I was thinking of my Grandmother while eying the peaches at my verduleria. They were big and ripe, and I could just imagine them baked into a delicious pie. And since I had just purchased some organic whole wheat pie crust earlier that day, the conditions were right for pie baking. My pie wasn’t as pretty as hers always turned out, but I’m practicing. The recipe couldn’t be simpler. 1 pie crust. Whole wheat if you can find it. 2 tablespoons of cold butter, cut into small pieces. Fit your pie crust to a greased pie tin, and bake in the oven for five minutes to avoid a soggy crust. 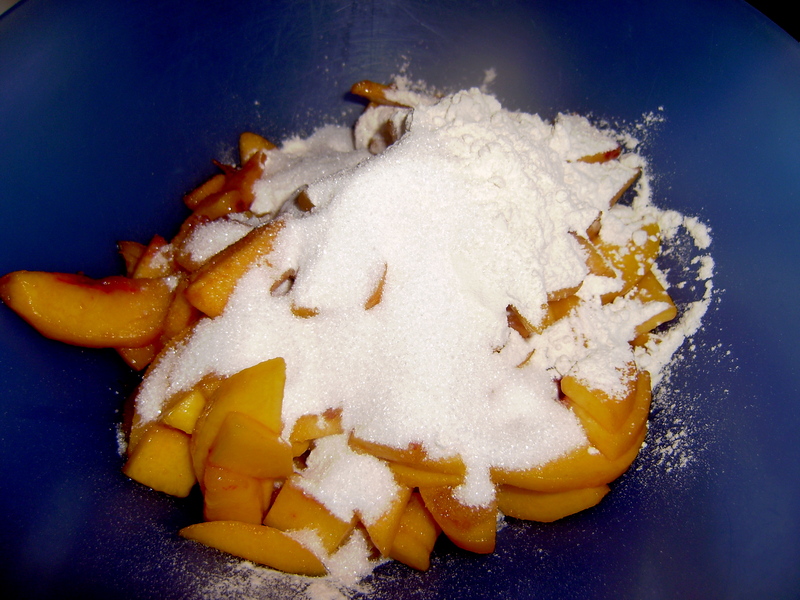 Mix together the peaches, sugar, butter and flour. 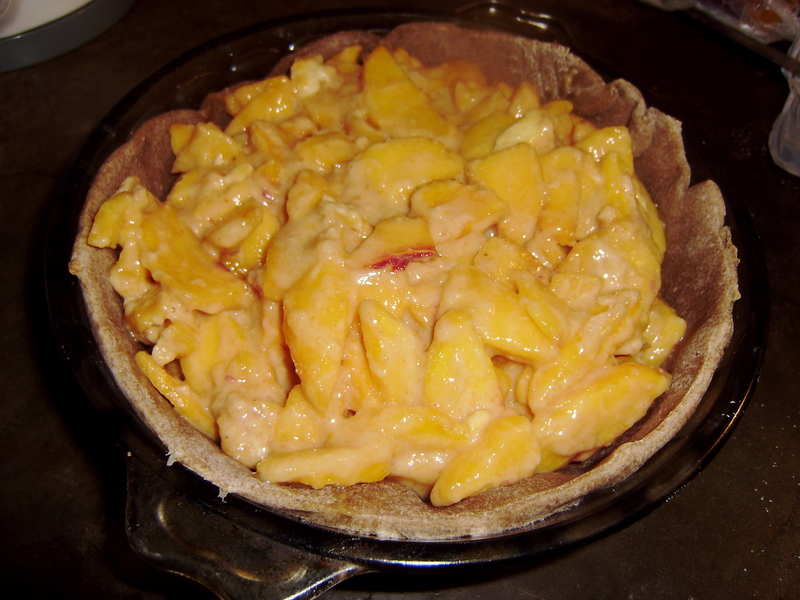 Pour peach mixture into the pie crust. 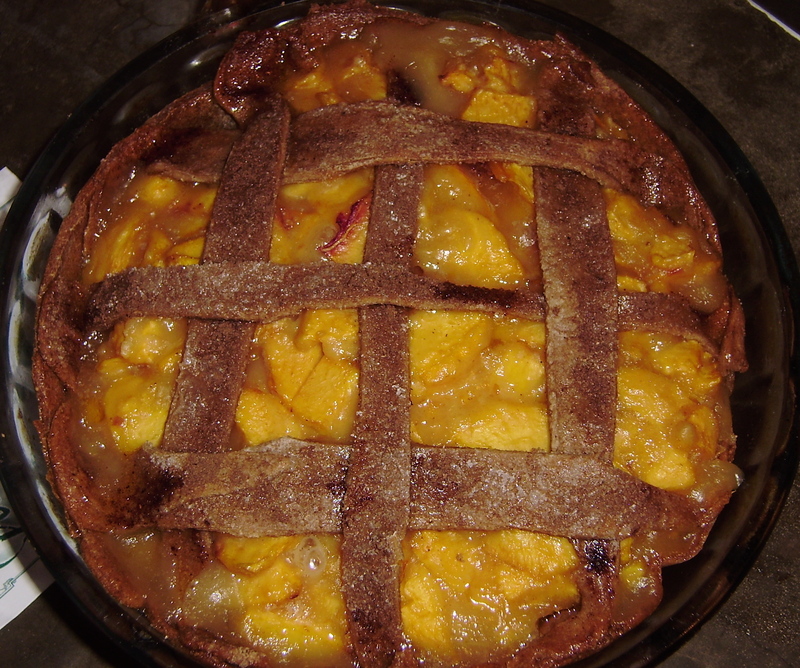 Top with another pie crust, or lattice. I chose a lattice because I didn’t have much dough left over. Bake in the oven for 45 min, or until a knife inserted into the middle comes out clean. I would also just like to mention that I always use real sugar when I cook anything. None of that artificial sweetener stuff for me. And I also say No! to high fructose corn syrup. Don’t believe the propaganda, it isn’t natural, it isn’t good for you and it’s in everything. I like this parody commercial of those offensive HFCS commercials where they try to portray people who advocate using real sugar as idiots. Say no to chemicals and say yes to sweet natural sugar and fruit. mmmmm. Great post: remembering your grandmother and reminder on natural ingredients. 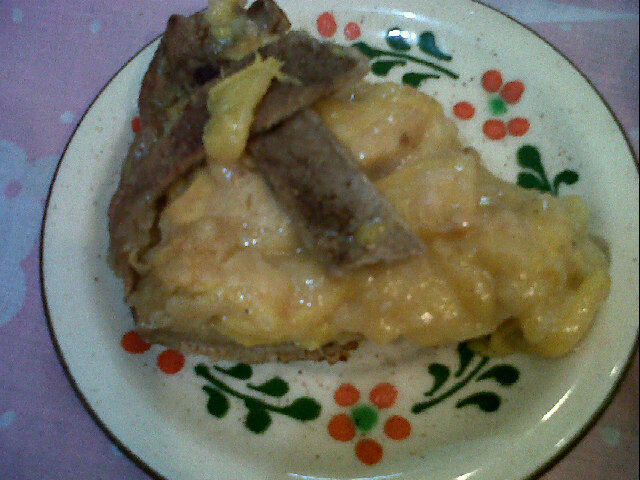 I wish I could sample the pie! Thanks Erin! 🙂 It’s super easy to make! That was very sweet (naturally) and almost choked me up. You better come get a degree in home economics.